Be prepared as you take your Jeep Cherokee on the trail by carrying an off-road accessory kit by Mopar. 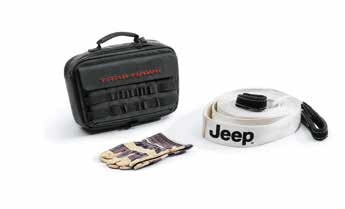 This kit, item # 82213731, is part of the Jeep Cherokee Cargo Management System and includes items such as a tow strap and gloves. 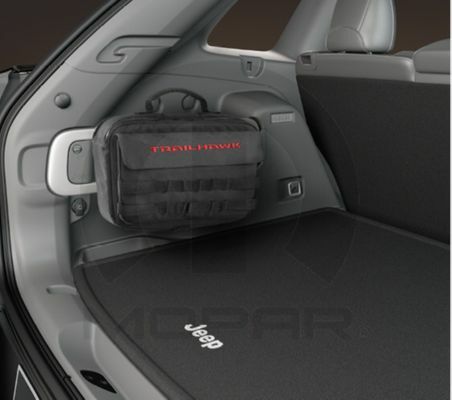 These kits are contained in a soft black bag that has the Jeep and Trailhawk logos. 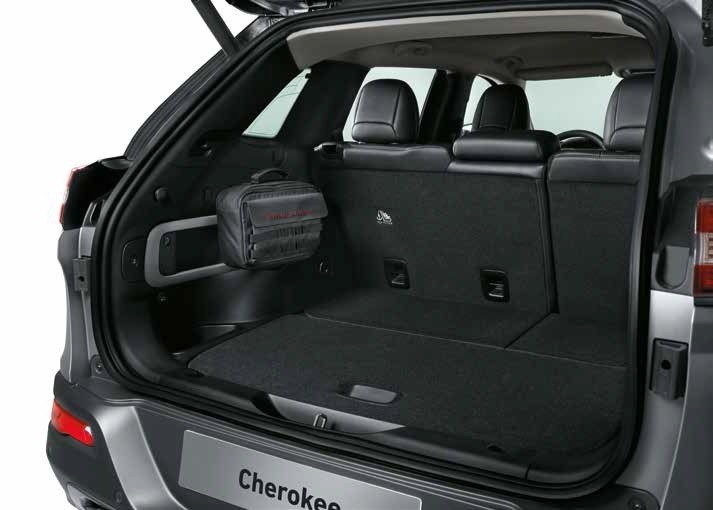 All Mopar products designed for use on the Cherokee Cargo Management System are guaranteed to fit securely in the system as they are designed using OEM specifications. Nice but it does not hang on the rail like the one in your picture. Tends to sag because of the weight of the tow rope. had to place this kit on the back side of the rail. ConsDoes not hang well on the rail.